Mark R. Mandel, MD has been selected by hundreds of eye doctors and other physicians to perform LASIK, corneal transplant, and cataract surgery on themselves, their families, and their office staff. As a sub-specialist Dr. Mandel has performed over 60,000 LASIK procedures and 20,000 cataract/IOL procedures. He has been serving Bay Area patients since 1983. We are proud to offer state of the art technology for measuring the eye and performing the latest in advanced surgical techniques. Striving to achieve the best possible outcomes. Graduate of Oxford University, UCLA School of Medicine, Fellowship trained cornea transplant and refractive specialist. Chosen by more surgeons to perform surgery on themselves and their families. Did you know that your pupil size can impact refractive surgery results? Bay Area LASIK Surgeon Mark Mandel, MD, discusses how large pupils affect LASIK surgery results. One of the most well-known and publicized risks and disturbing post-operative side effects of refractive surgery is halos, glare, decreased contrast sensitivity, and starbursts seen at night or in a dark environment. There are a number of complex optical reasons why patients experience post-operative halos, glare, and starbursts, including the induction of higher order aberrations such as spherical aberration, coma, and trefoil, as well as diffraction off the edge of the treatment zone in patients with large pupils, occasionally made worse by high astigmatism or an excessively flat corneal curvature after surgery. What Pupil Size Is Too Large For LASIK? In some patients, the pupils can dilate in the dark to as large as 9mm in diameter. Generally, this is not a problem. However, following refractive surgery, the pupil may dilate wider than the zone of treatment, thereby causing reflection and diffraction of incoming light off the edge of the treatment zone. This diffraction can degrade the quality of the image (experienced as decreased contrast sensitivity or a decreased ability to discern subtle shades of gray), or cause halos/starbursts off of point sources of light. This is more common in patients with higher degrees of astigmatism and a “flatter” corneal curvature because of the configuration of the treatment zone. We have been performing San Jose LASIK and advanced surface procedures on patients with pupils up to 9mm using either the Allegretto laser or the VISX Star S4. Both of these wavefront lasers are equipped with large pupil software. Although patients with large pupils still experience glare and halos similar to that with their pre-operative contact lenses or glasses, we have had very few cases of worsening glare or halos in patients with large pupils. In addition to being able to accommodate patients with very large pupils, the Allegretto and the VISX S4 excimer lasers use an active tracking mechanism whereby the patient’s eye is tracked by the laser, which essentially eliminates problems associated with slight movement of the eye during the surgery. Unfortunately, not all patients with large pupils are good candidates for LASIK using the large pupil laser. This is because as we increase the size of the treatment zone necessary for accommodating patients with large pupils, the laser must remove more corneal tissue. It is wise to leave approximately 250 microns of cornea untreated by the excimer laser. Accordingly, in patients with large pupils who require not only large treatment areas, but also deep treatment, the patient’s cornea must be thick enough to leave approximately 250 microns untouched. At the pre-operative examination we measure the patient’s corneal thickness and calculate the treatment zone size and depth. In some cases in patients who are highly nearsighted and have large pupils, but do not have enough corneal thickness to leave the approximate 250 microns of untouched cornea, it is not possible to safely perform a LASIK. In these cases, assuming that the cornea is otherwise healthy, a surface PRK or LASEK procedure can be performed. Please consult our web site page on Surface PRK, LASEK versus LASIK, and the section on LASEK for further details on these procedures. It is important to emphasize that although LASIK is more convenient for the patient with respect to the fact that the visual recovery time is rapid, PRK/LASEK have the same visual results, but take longer to achieve the crispness of vision enjoyed by LASIK patients. On the other hand, one of the main complications of LASIK in the highly nearsighted individual is microfolds in the flap, which tend to be more common in patients with 6.00 diopters of nearsightedness and above. Because PRK/LASEK does not use a flap, it is impossible to have the complication of microfolds. We believe that this is a significant advantage. However, the risk of corneal haze and scarring is slightly greater in the high myope with the PRK/LASEK procedure. Fortunately, with the newer generation lasers such as the Allegretto laser and the VISX S4 Smooth Scan laser, along with the use of Mitomycin-C, the risk of corneal scarring and haze following PRK/LASEK is considerably less than it was years ago. Therefore, in the patient with a large pupil, high myopia, and a thin cornea, we are fortunate that we have the Allegretto large pupil laser, the Visx S4, and PRK/LASEK at our disposal. If the patient elects to have PRK/LASEK, they must decide whether to do one eye at a time or both eyes at the same time. The advantage of doing both eyes at the same time is that the patient does not have to return to the laser center on two occasions. However, it is important to note that, depending on the degree of nearsightedness and astigmatism, it may take up to a month for the vision to become sharp enough to safely drive or function at work. Accordingly, patients who undergo PRK/LASEK may elect to have one eye done at a time while wearing a contact lens or glasses over the eye that has not been treated. Once the treated eye has achieved functional vision, then the PRK/LASEK procedure can be performed in the second eye. 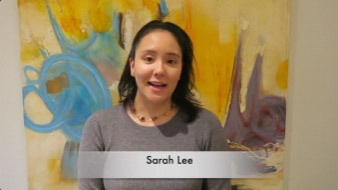 Sarah Lee shares her successful LASIK experience. Click below to enjoy her video. If you would like to meet with Dr. Mandel to discuss your personal vision needs, please contact our office today to schedule a consultation. Click here to go to the Nordic Patient Fulfillment Site. Laser refractive surgery corrects focusing errors of the eye (e.g., nearsightedness, farsightedness, astigmatism) in order to improve visual sharpness and clarity. Procedures include LASIK, laser cataract surgery and refractive lens exchange. At Optima Eye we offer premium cataract surgery. Patients can opt for laser cataract surgery and / or premium intraocular lens implants, with several options to fit your unique lifestyle. Dr. Mandel and his team of professionals offer a complete continuum of general eye care services to accommodate every patient’s needs — whether those needs are as simple as a routine eye exam, or as complex as laser vision correction. Dry eye syndrome, which affects more than 100 million people worldwide, can be painful and debilitating. Dr. Mandel uses several approaches to treat dry eye, ranging from medication to punctal plugs.